“I recently purchased a beautiful handmade bespoke ring from Knights the Jewellers in Kaitaia. As Antwerp Diamond Brokers, Knights were able to supply a high quality diamond from the diamond capital of the world at a very competitive price. Monty and Adeline Knight worked with me to design the perfect ring to set the stone in. The final outcome was beyond my expectations. I want to thank them for the extra time and effort they put into producing this heirloom piece for me, which cost me considerably less than the final valuation. 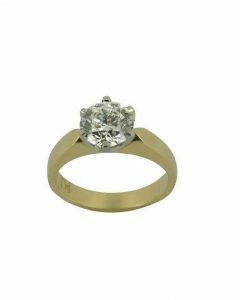 “Recently I had the opportunity to purchase an amazing Antwerp diamond. Adeline from Knights The Jewellers Kaitaia, on one of her trips to Antwerp (Belgium) chose for me a 2.01 carat diamond which was exactly the cut, colour, clarity and carat I had asked for. Adeline returned with the most beautiful diamond. She was extremely helpful throughout the process, consulting with me and making sure I was perfectly happy every step of the way. 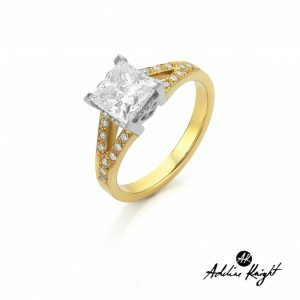 On her return, Adeline and I talked through the setting and after looking at many ways it could be set we came up with a simple basket setting which enhanced the diamond. The setting was hand crafted by their jewellery designer who made a beautiful job. It was exactly as I had imagined it would be and had asked for, an amazing craftsman. The stone and setting was selected, purchased and crafted for me making it extra special.